The 2013 Dodge Dart is aimed at young buyers, many of whom may not have enough money to buy one. The fix? Crowdfund it. 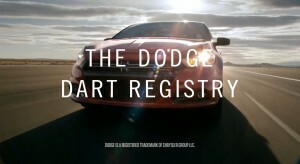 On Sunday, Chrysler will launch the Dodge Dart Registry with a TV ad (video below) during the NFL NFC championship. Powered by crowdfunding site RocketHub, the program lets buyers register to have friends and family donate towards their Dart purchase. Contributors can sponsor individual parts, so dad can pitch in for the engine and grandma for the steering wheel. Dodge’s marketing for the Dart has centered on its “New Rules” slogan. “Now, ‘New Rules’ transcends not only how we design, build and market a car, but redefines how consumers can purchase a new vehicle by mobilizing friends and family to help,” said Oliver Francois, Chief Marketing Officer at Chrysler. Even if the program doesn’t upend the auto industry’s purchasing model or motivate hordes of people to start buying their family members Darts, Dodge’s main goal is get a social media and brand image boost among a generation that’s used to funding things on Kickstarter. 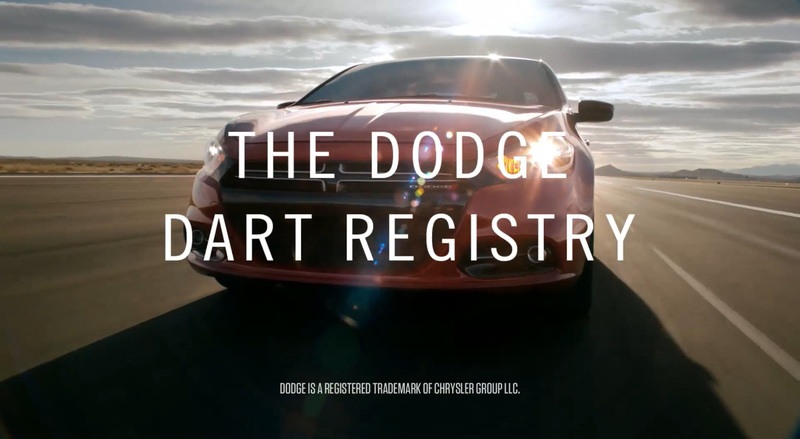 See Dodge’s TV ad for the Registry after the break. China’s BYD: $25 Billion Reverse Engineering Specialist?